Ships today if you order in the next 14 hours 13 minutes. 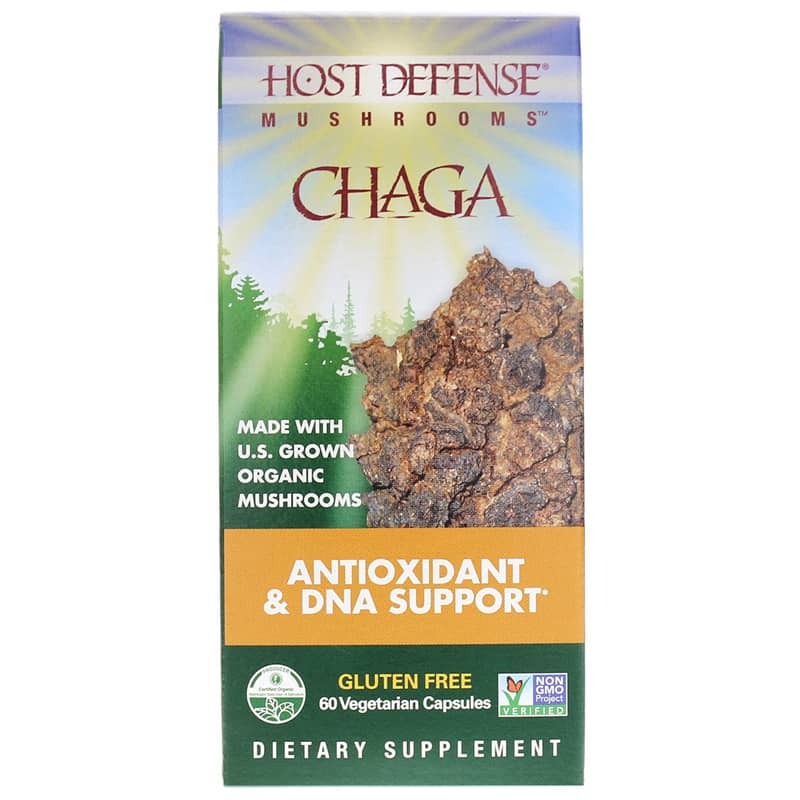 Host Defense Chaga from Fungi Perfecti has been studied and treasured worldwide for its health-enhancing properties and support for antioxidant activity. Chaga mushrooms have been used in Russia, Poland and Baltic countries as a folk medicine since the 16th century to help with these health issues. The mushrooms are a rich source of such beneficial compounds as polyphenols, melanin, sterols, and betulinic acid. These are all chemicals with potent antioxidant, antiviral, and immune-enhancing properties. 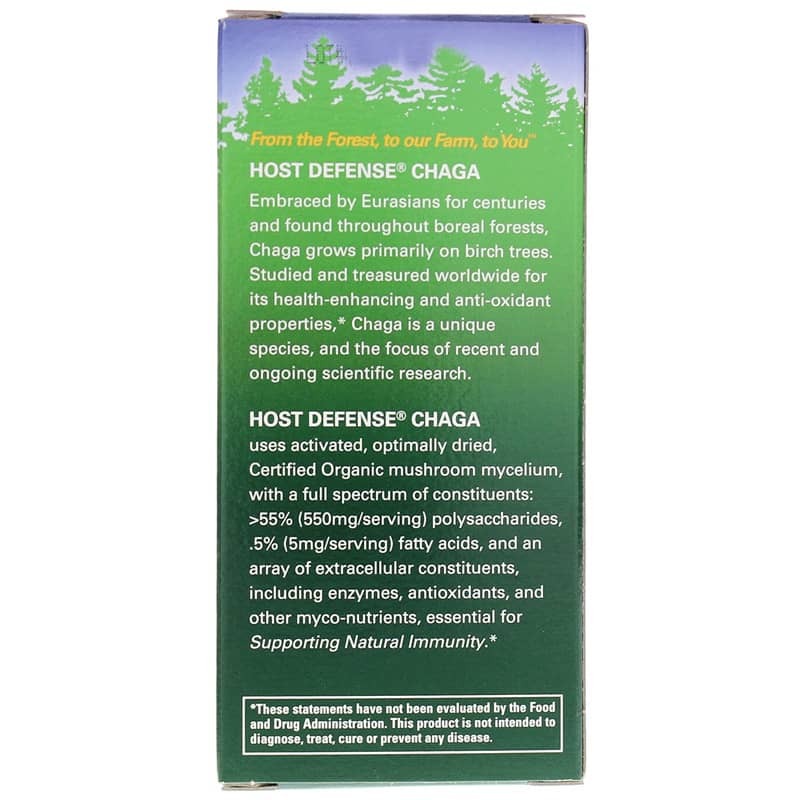 Each Host Defense Chaga capsule contains 500 mg of freeze-dried organic chaga mycelium. 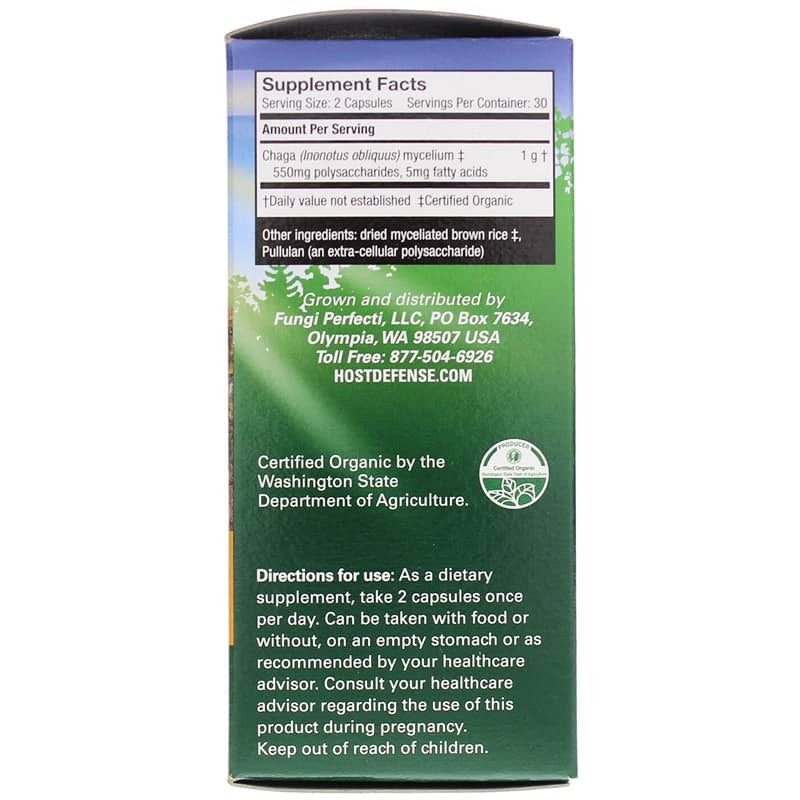 Adults: As a dietary supplement, take 2 capsules once per day. Can be taken with food or without, on an empty stomach or as recommended by your healthcare advisor.